I love hamsters. I will go ahead and get that out there. I had a hamster as a child and for the past year have been caring for a pair of Roborovski hamsters. That love is why I had to pick up Flying Hamster. 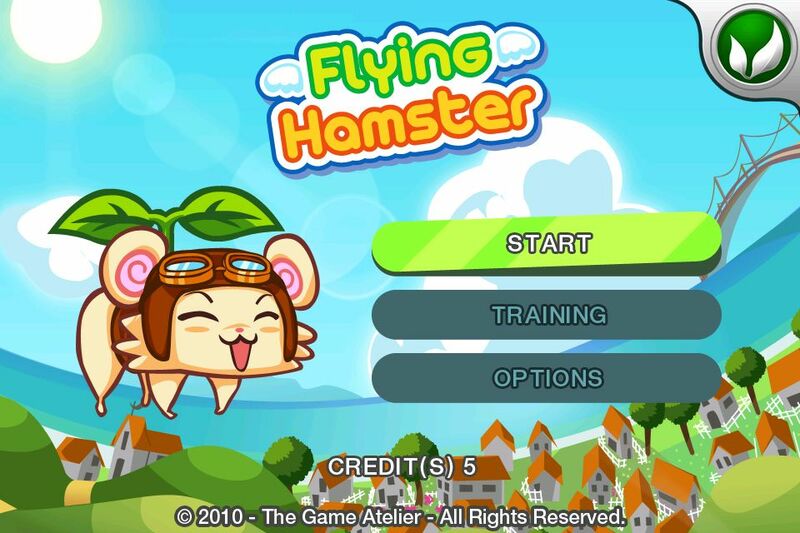 The name alone is a win, Flying Hamster, just sounds awesome. The name does not disappoint. 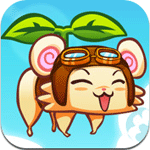 When your hamster girlfriend is kidnapped, the main hamster picks up a pair of goggles, a belt, and a stem with leaves he uses to fly. The graphics are fantastic and cutesy beyond belief. They are very colorful, in full Retina resolution, really good. The sound effects and music are great also. Controlling the game is simple, it is basically like Gradius, the old side scrolling space shooter with a ton of power ups. There are some great power ups in the game including corn and beer. 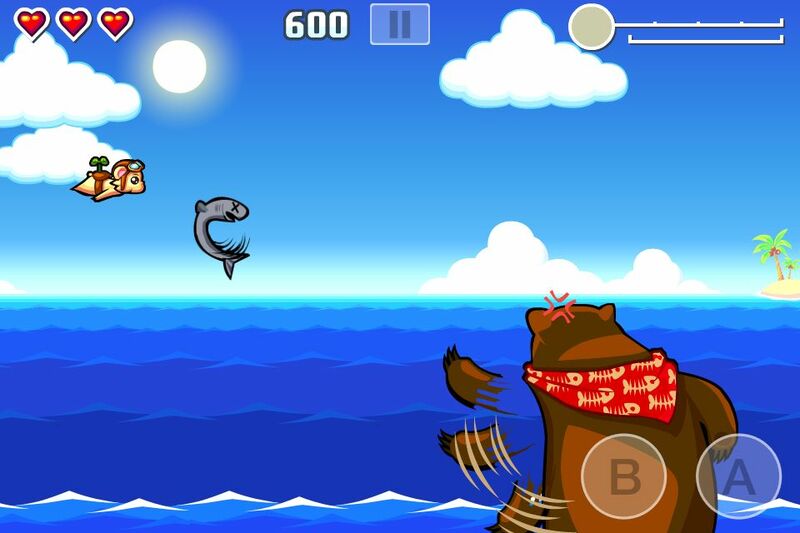 The game involves a hamster flying through the air spitting beer and corn at enemies including Kodiak bears throwing salmon, I think you can figure out from that the game is nuts. Obviously, crazy people designed it. The background images include some terribly odd and hilarious things (a cat puking, other animals getting drunk, etc.). I would surely suggest anyone out there pick this game up. Not just because I happen to have a slight obsession with cute tiny rodents, but because I like a good game made about tiny, cute rodents. It has a great amount of humor, childish humor, which also suits me quite well. I would say they actually made the game for me, maybe not, but possibly. The price is a bit high for a little game like this. When I bought the game, it had already dropped one dollar. 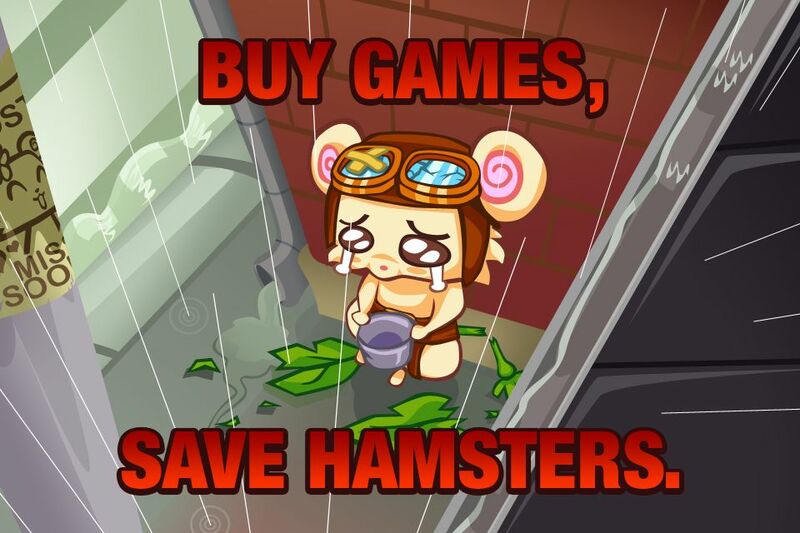 Hopefully the trend continues to get this game out to as many gamers/hamster enthusiasts as possible. Buy the game, hamsters drinking beer, so awesome.